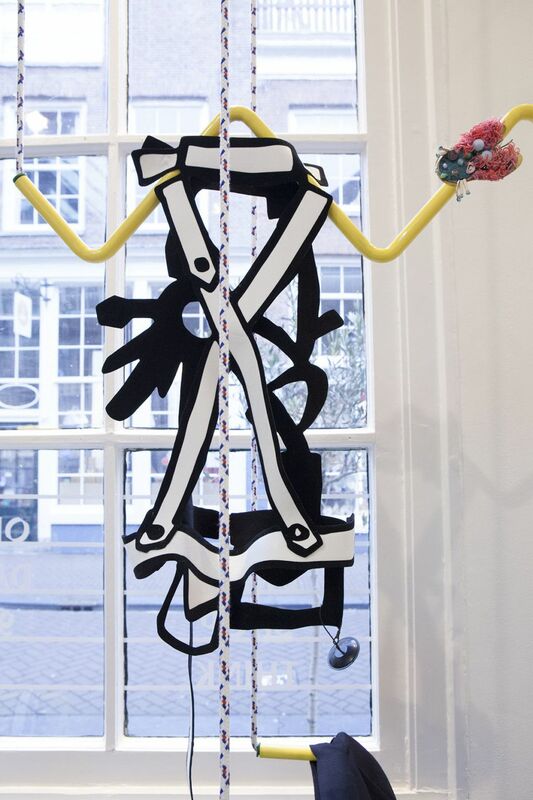 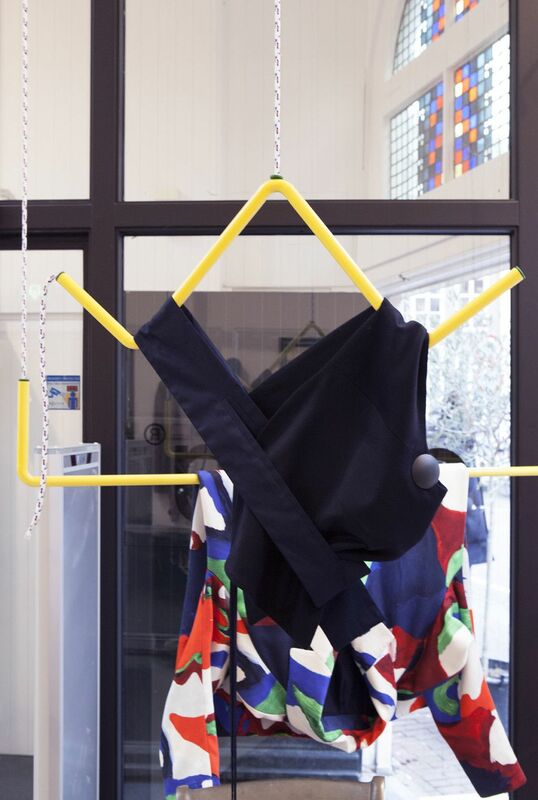 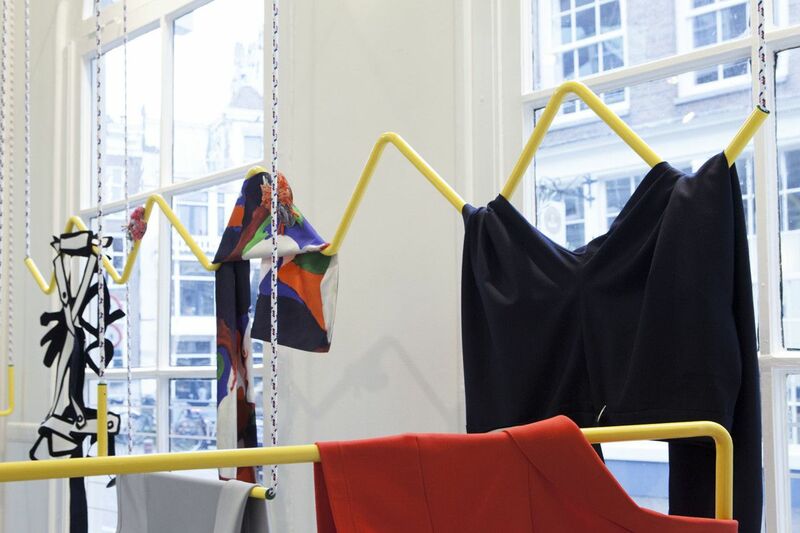 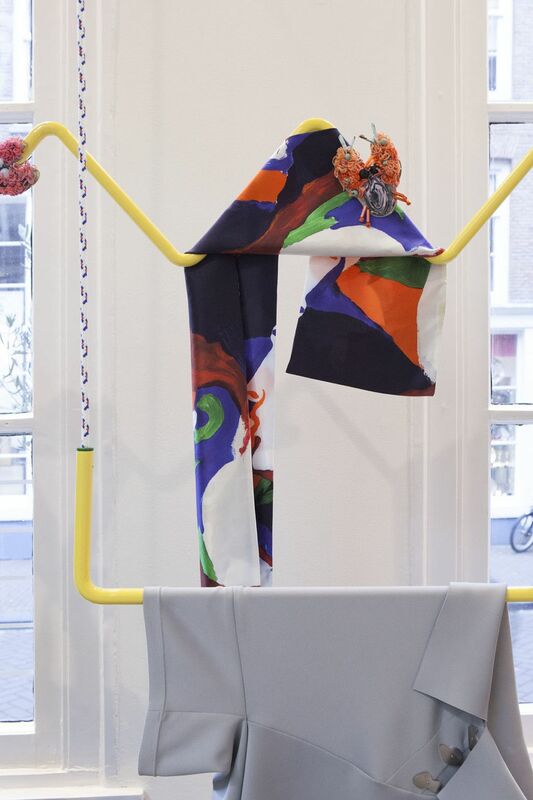 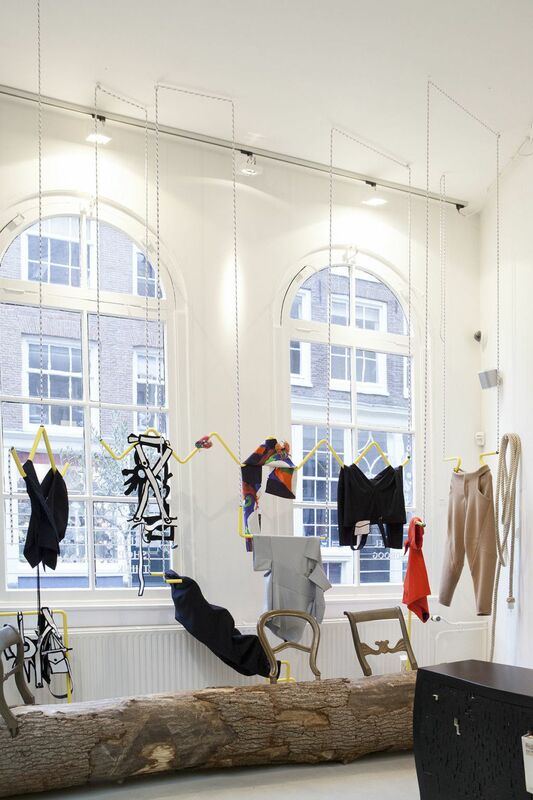 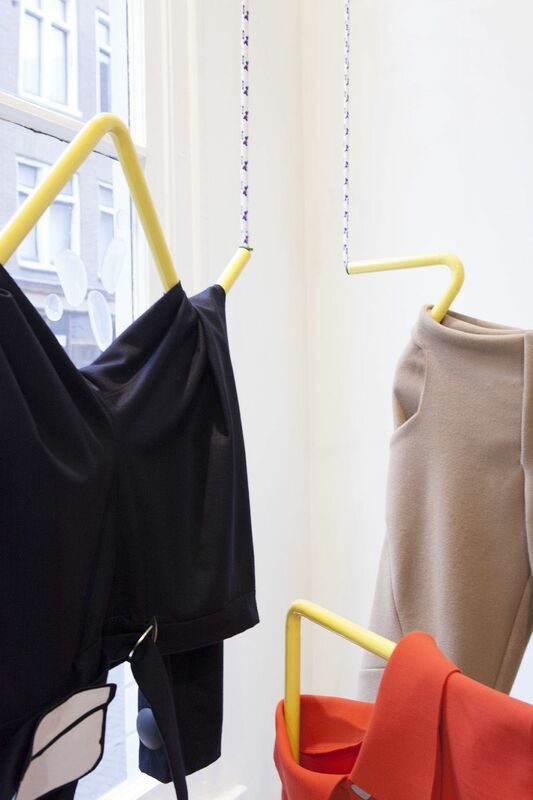 The installation made voor SCHUIT presented at Droog is an alternative answer to the common use of mannequins. 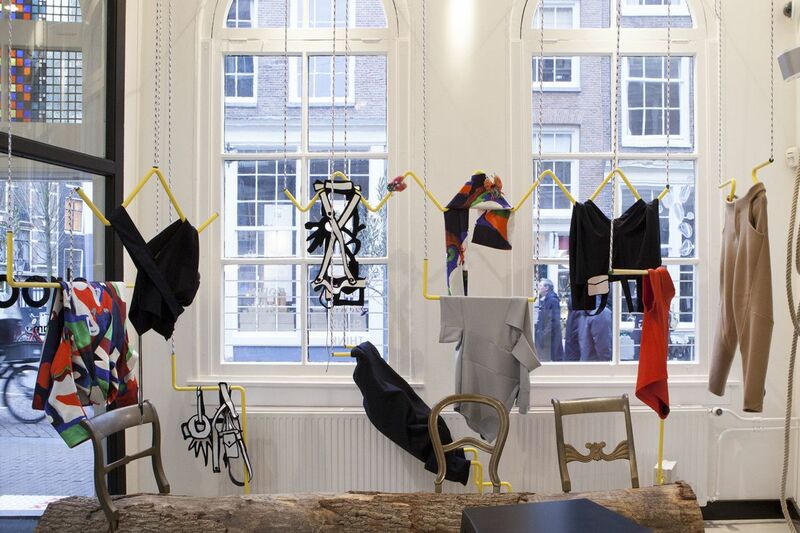 Where the standard mannequin is lifeless and still NOMAN studio wanted to create a visualization of movement. 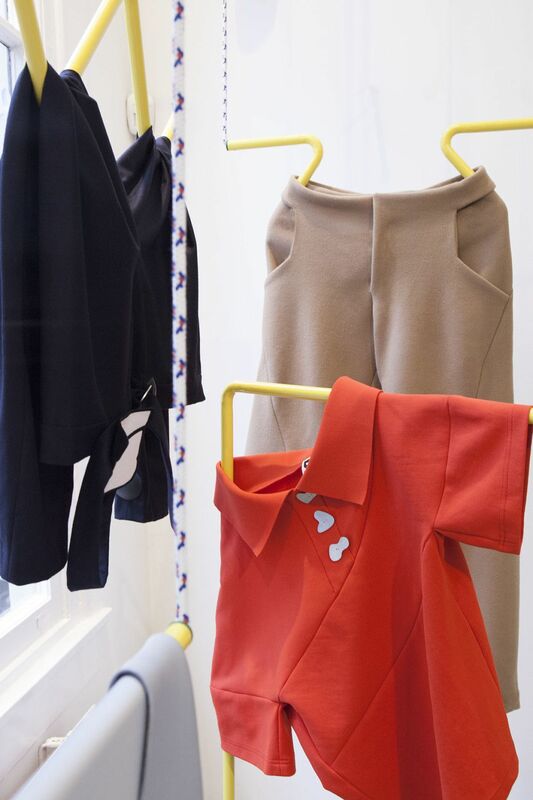 There for the shapes, that become the carriers for the clothes, are never straight. 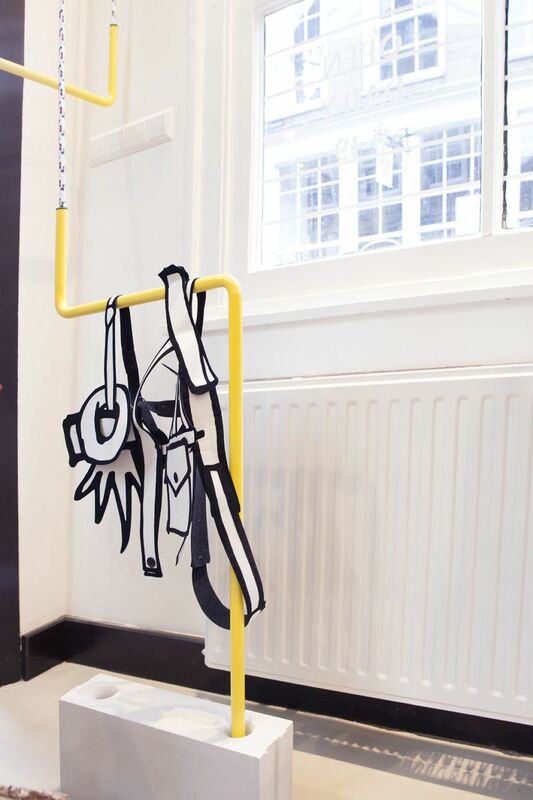 They always seem to move into a direction.